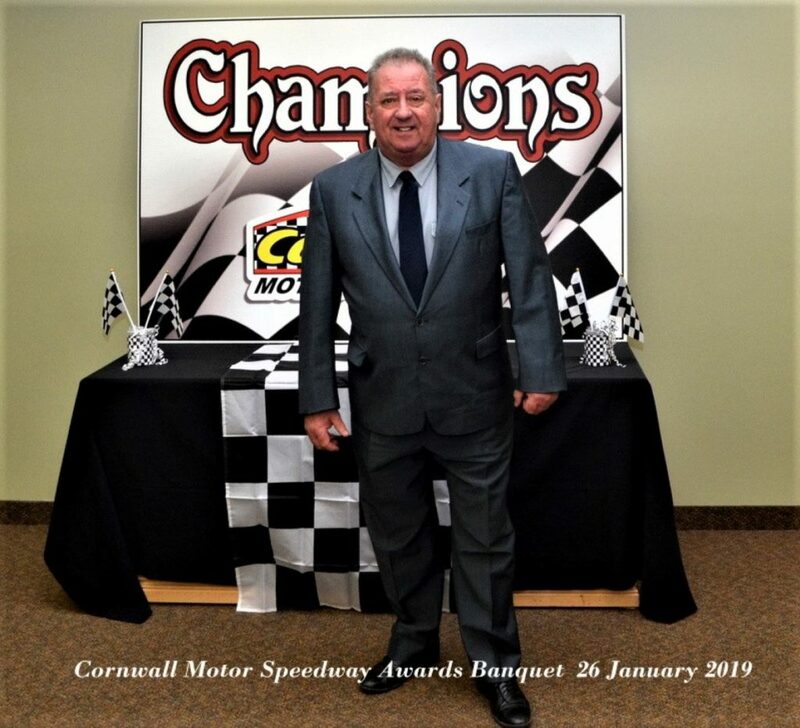 On Saturday 26th January it was the Cornwall Motor Speedways annual Awards Banquet, which set the ball rolling for the tracks 50th Anniversary . 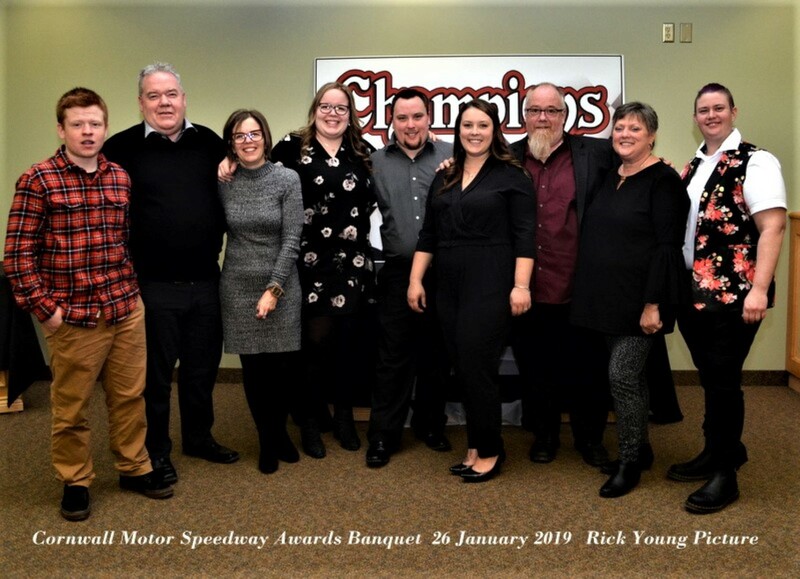 Before, telling you the banquet details, I want to share a bit of history, and some of my fond personal memories from the long association I’ve had at the track. Back in 1970, and long before I moved to Canada, the neat quarter mile clay oval, at Long Sault, near Cornwall made its debut. 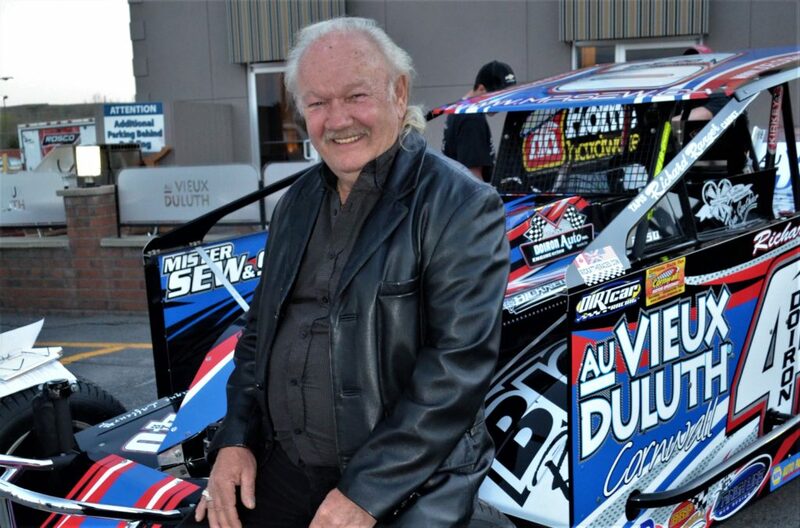 It was opened by the Hurley family, and by the early 1980’s, local racer and auto body shop proprietor , Ron Morin became the new owner. As for me, I moved to Canada from England in the fall of 1994. and for the first couple of years I lived out in the boonies of Combermere, Ontario . 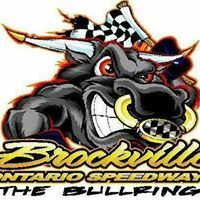 I’d traveled to see the Dirt Modifieds at the Can Am Speedway NY and the Brockville Ontario Speedway in 1995, so when I moved to the Cornwall area in 1996, it became an obvious place for me to attend..
My first visit to the track was on the 28th July 1996. and I must admit, I can’t remember who won that night. My good friend Tim Baltz, one of the tracks announcers and a keen ‘stats man’, thinks it was Brian McDonald. 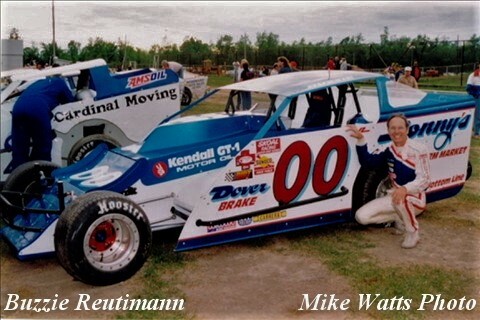 My second visit on 11th August was a lot easier to remember as it was my early hero, Buzzie Reutimann. I also remember that occasion very well, because my long time friend Colin Herridge and his wife Kim were with me, visiting from the UK. At this time of my life I was working shifts as a truck driver, on a contract that only allowed me every other weekend off. 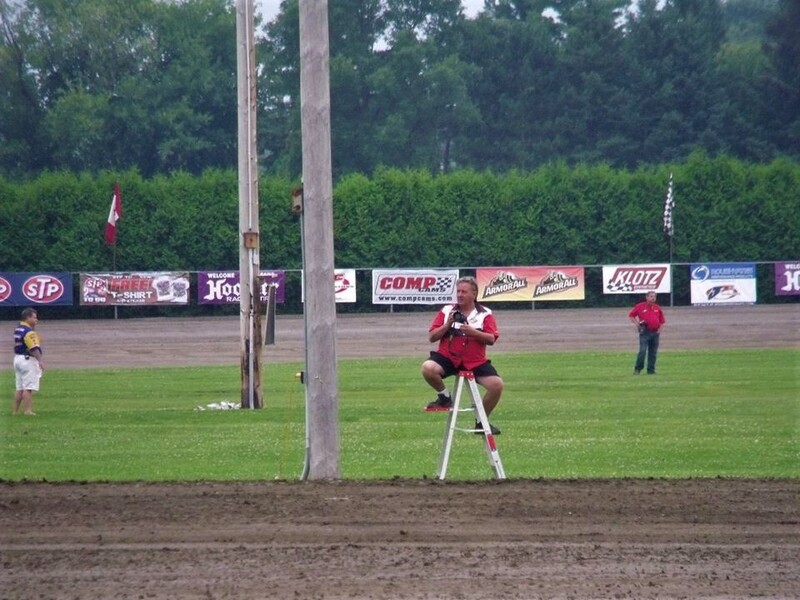 This obviously restricted my race track visits, until I could switch jobs. I carried on attending the Cornwall races as many times as I could. 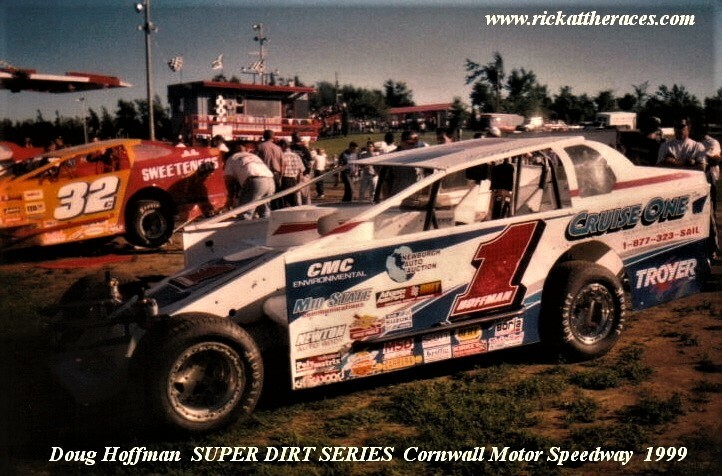 The first Big Block Modified Super Dirt Series , I saw at Cornwall was in 1999 when I paid the extra cash for a pit pass. 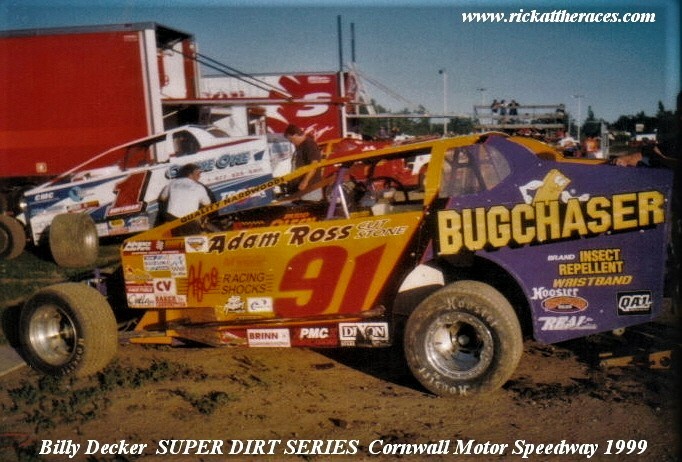 It was Billy Decker # 91 who got the checkers that day. 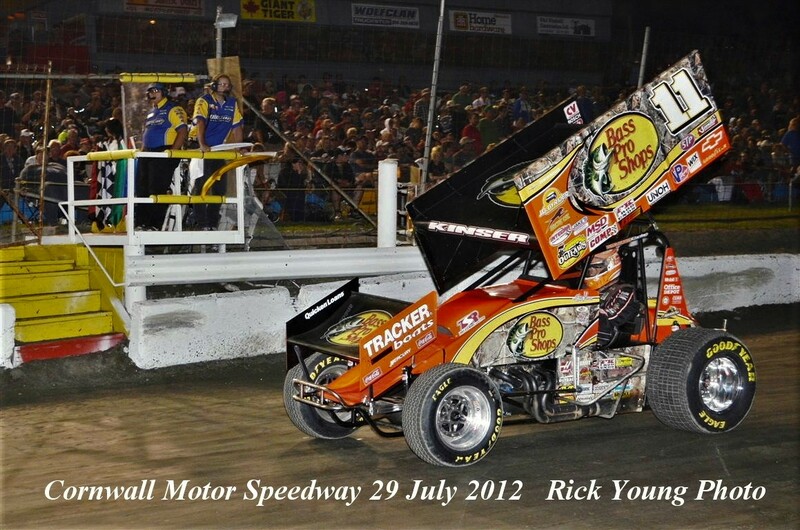 At this time, when ever work commitments would allow, I’d be a regular at all my local tracks. In 2001, I changed my job which allowed me to attend most weeks. 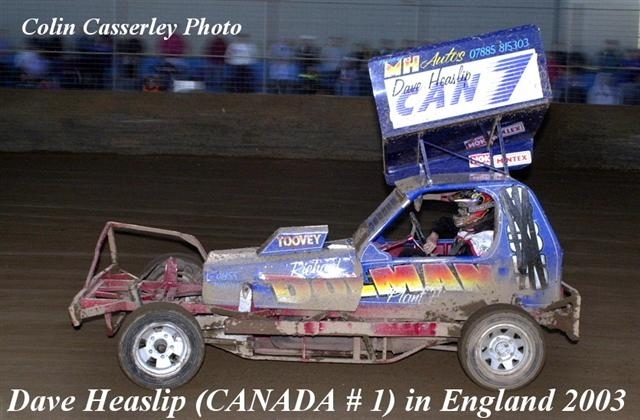 I also became a writer/photographer for SHORT CIRCUIT MAGAZINE in the UK where I would do a monthly column on short track racing in Canada and the USA. 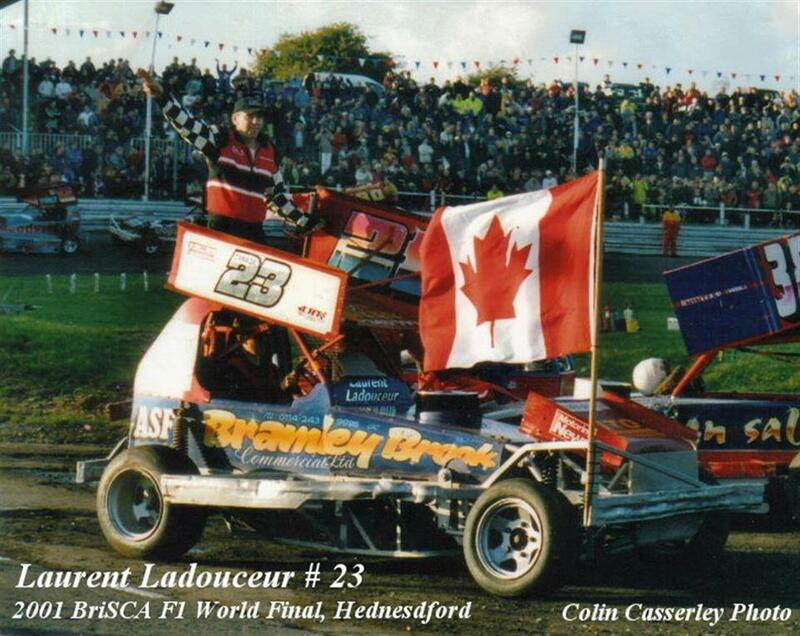 In 2001 and 2003 I helped to organize a trip for two of Cornwall’s top drivers, Laurent Ladouceur and Dave Heaslip to represent Canada in England. 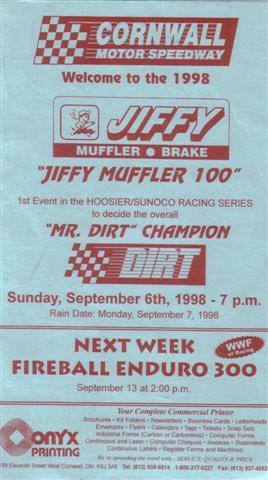 Not long after this, I was granted Media Credentials from DIRT MOTOR SPORTS in NY , and soon became good friends with Ron Morin. In 1974 , we at SHORT CIRCUIT MAGAZINE organized a racing trip for UK driver Malcolm Foskett, where we used Ron’s Pro Stock for the Cornwall leg of his tour. 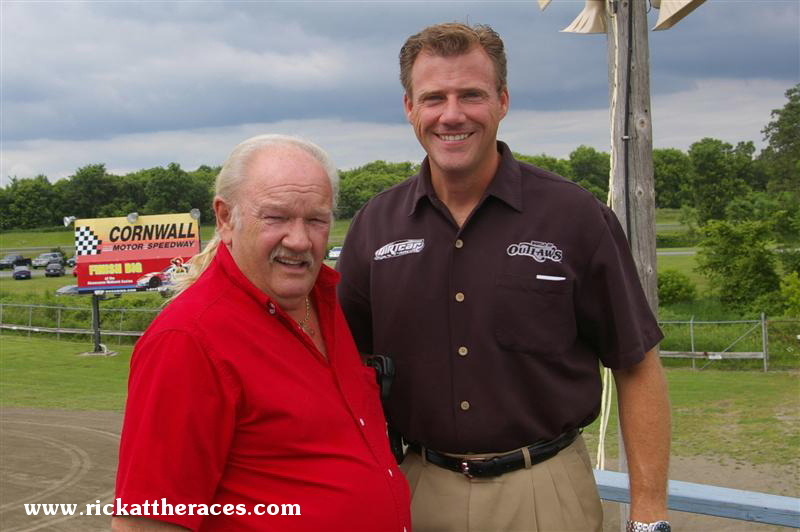 Not long after this Ron approached me with the offer to join the staff at the speedway, where I would be taking care of media photos. 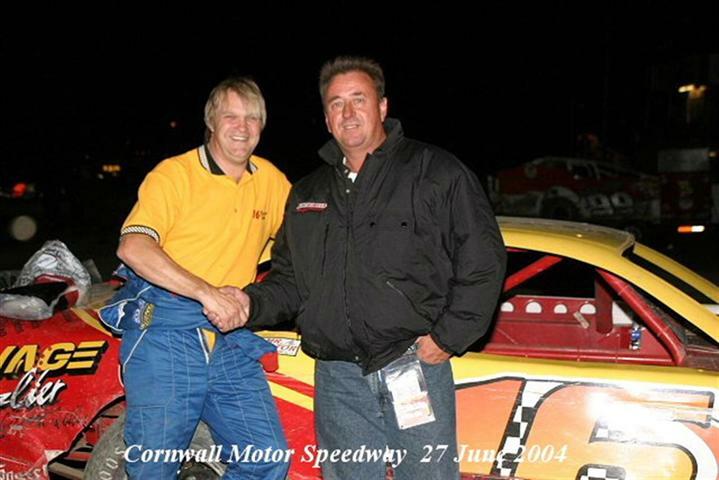 I became Cornwall’s official track photographer and joined fellow ‘Togs’ Bobby Lefebvre and the late Mike Watts. 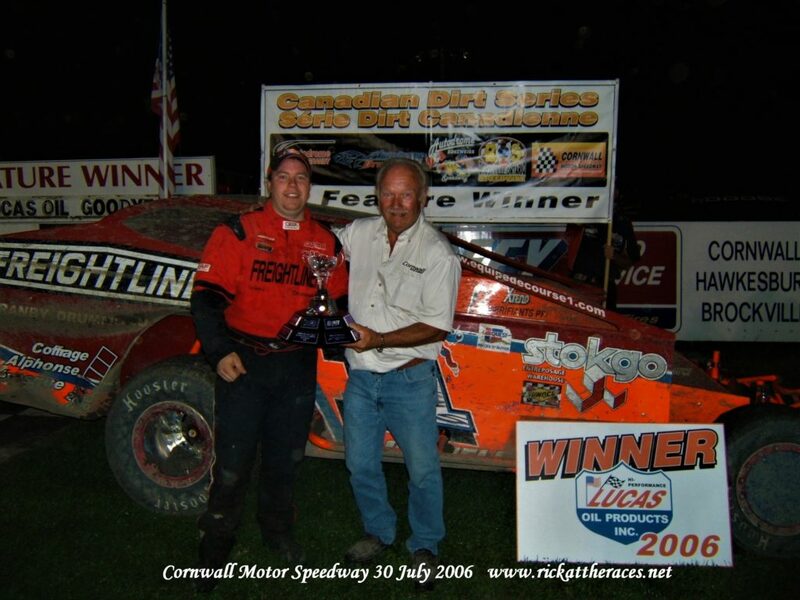 In 2002 , Ron Morin’s Cornwall Motor Speedway in conjunction with Autodrome Granby , were the founding tracks of the Canadian Dirt Series that ran for a number of years. This was very successful, and I enjoyed being part of the official team. 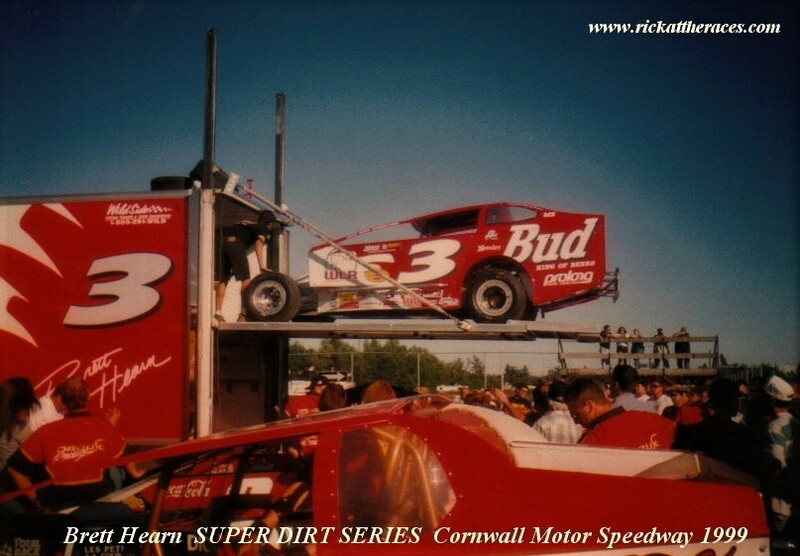 When the Canadian Dirt Series reached the end of its run, Cornwall Speedway replaced it with the Canadian Nationals, which continue to be held each year . 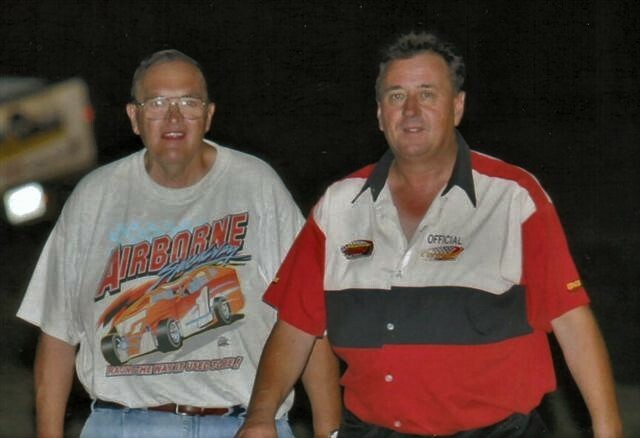 In 2008 and 2009 the track made history by staging the World of OutLaw Late Models, where top man of the time Josh Richards won the big race. 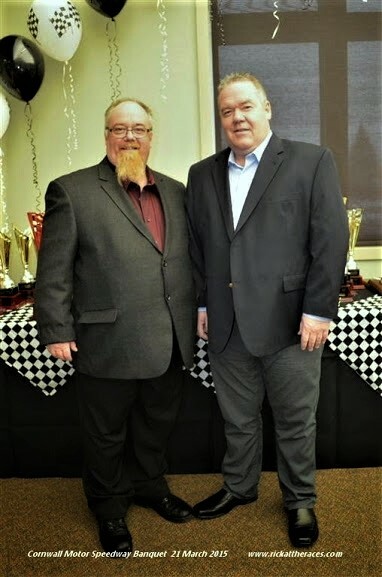 Also present, to see them, and making his first visit to the speedway, was Brian Carter, the supremo of the World Racing Group (the company who control the World of Out Laws and Super Dirt Series). 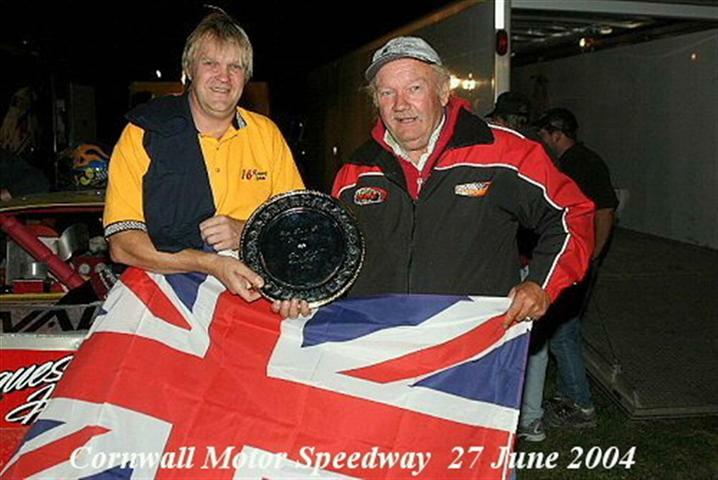 In 2012 Cornwall hosted its most prestigious event of all time, when the World of Out Law Sprint cars made their first of two visits . 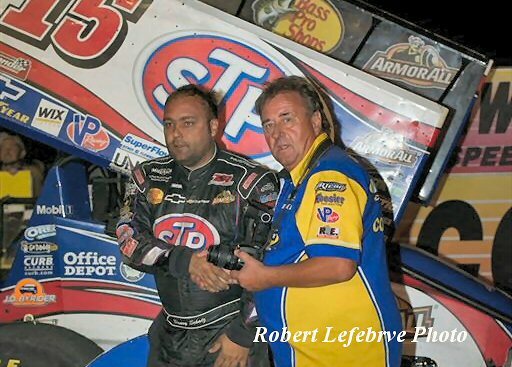 Yes, we had the great Steve Kinser racing at our local track, but when the checkers fell on the inaugural event, It was Donny Schatz that took the honors. 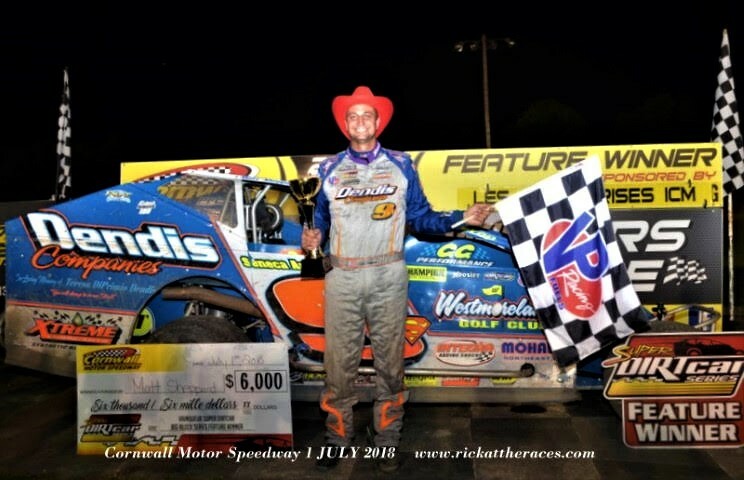 He won again , when they returned in 2014. ( 2013 was rained out). 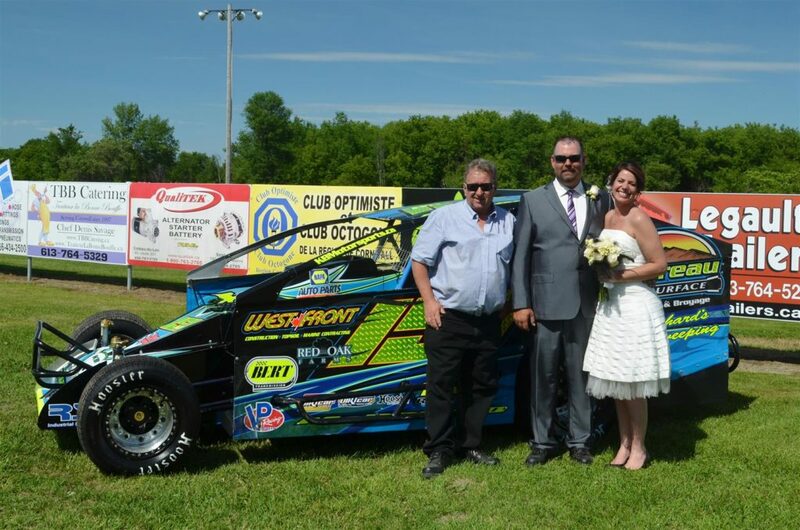 Of course , apart from the World of Outlaws, the annual staging of the Big Block Modified SUPER DIRTCAR SERIES has been each seasons #1 attraction for me. 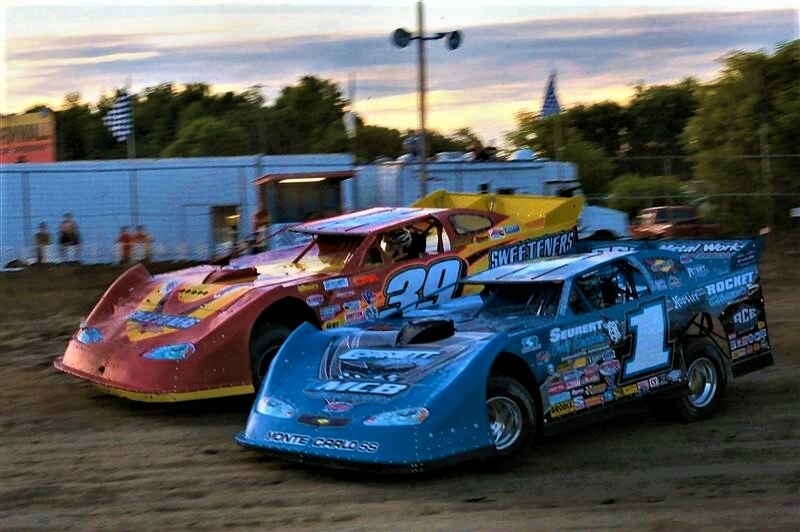 It’s always a fun day at the track when it plays host to the best from the DIRT Modified world. 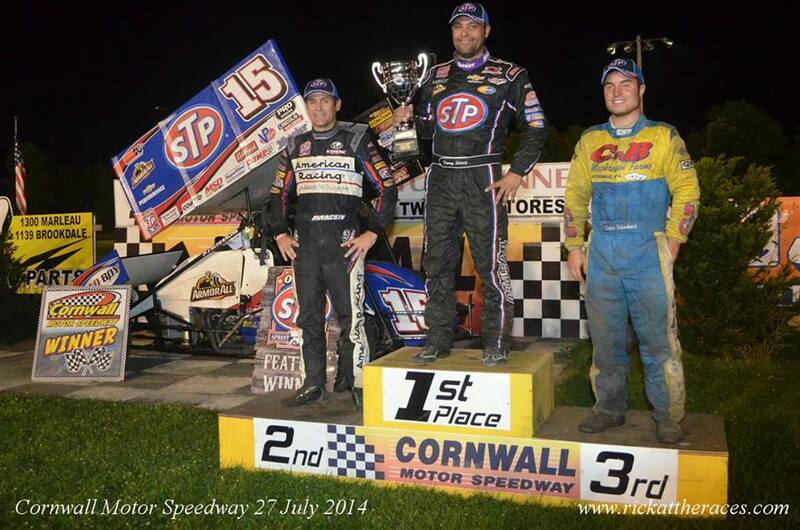 Most of the major players have raced and won here, but in recent years Matt Sheppard has been the man to beat. 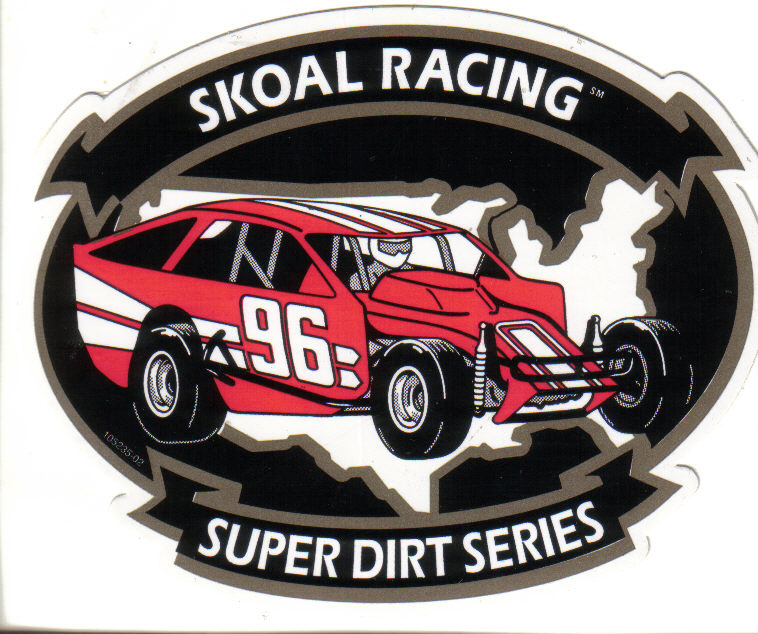 I must not forget , the other weekly divisions, that have become the breeding ground for drivers to advance to the headlining 358 Modifieds. 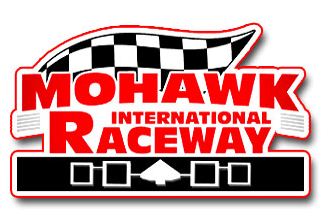 The Ministocks, Pro Stocks and Sportsman are all important components that have gone towards making the track such a success. 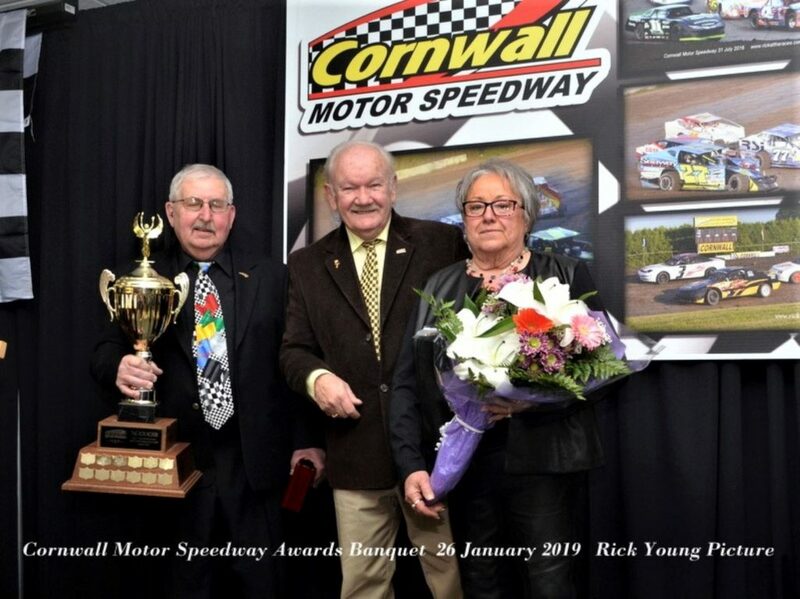 Over the years while I was taking pictures each week , promoter Ron Morin became one of my good friends and it was back in the winter of 2013/14 he told me of his plans to retire, and that he would be selling the track. The new owners would be Raymond and Jacques Lavergne. 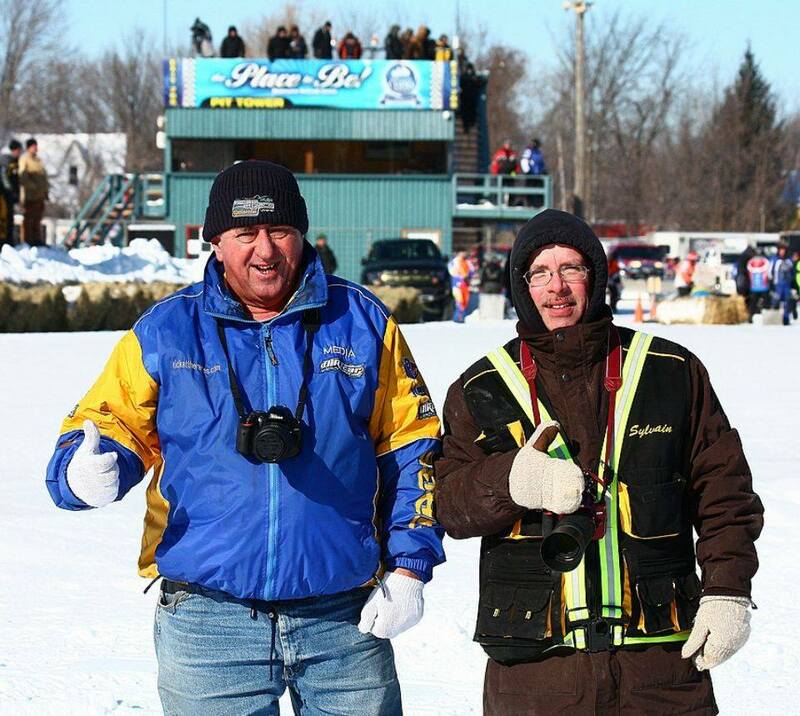 They took over at the start of the 2014 season , with Ron in the back ground, helping out to make sure of a smooth transgression. 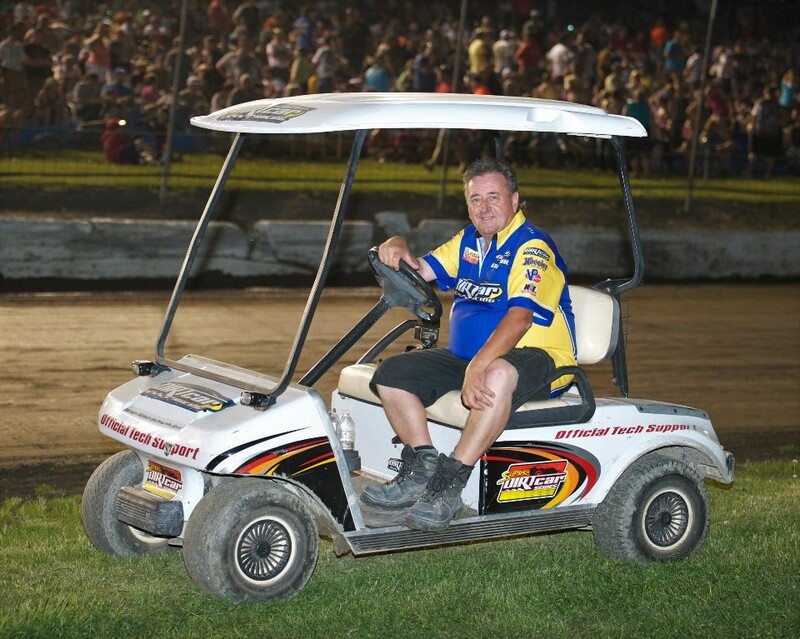 The Lavergne brothers have made it a family affair with their wives and children all helping out in one way or another. Jacques wife Claudette takes care of the day to day running of the business in her office at the track. Just like Ron Morin , before them, the Lavergnes have become good friends. Things have gone well, and a lot of investment has taken place, the most obvious, being the new grandstands. 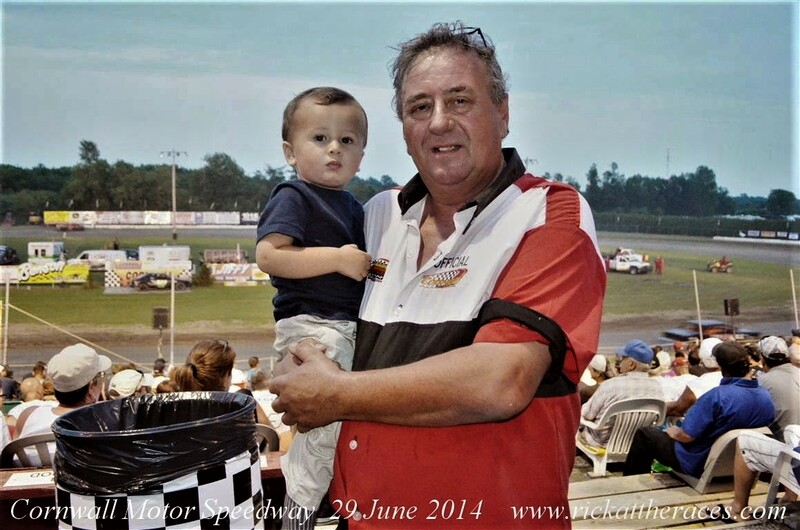 I continued in my position as track photographer and one of my fondest memories of 2014 was the visit of my daughter Carla, her husband Alex and my grandson Benji, all the way from their home in Austin, Texas. It was Benjis first visit to a Dirt Modified tack. 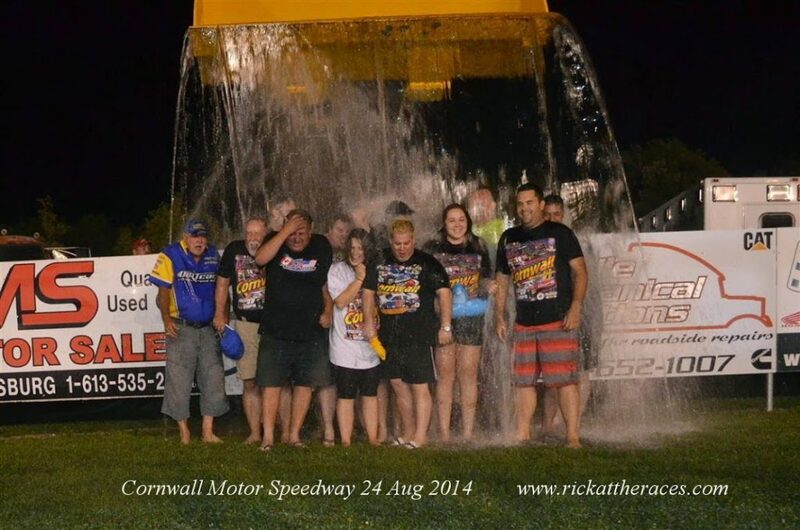 Another good memory from the Lavergnes first year was the ALS Ice Bucket Challenge, where some the track staff (me included) took part for the cause. 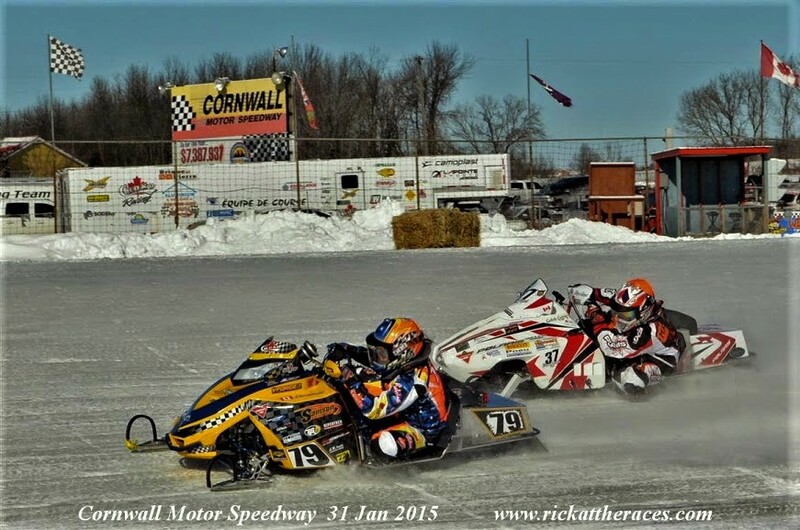 Something a bit different happened in January of 2015, when a Snowmobile event took place. That was a chilly one ! 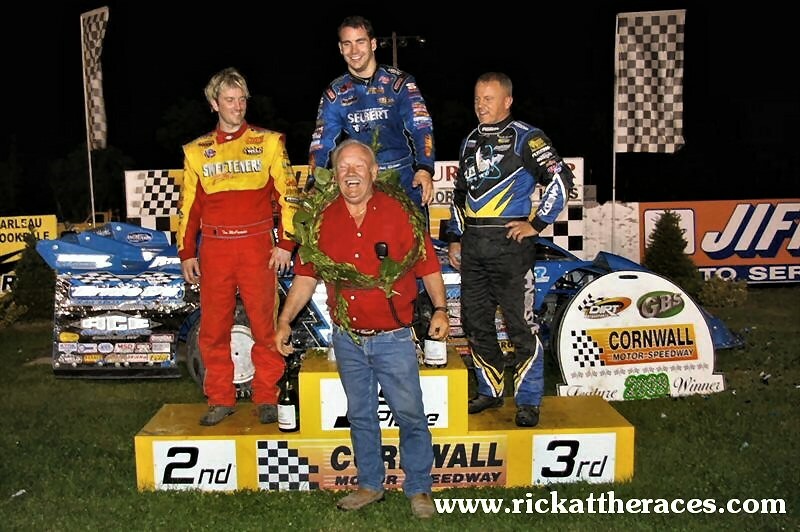 Things all changed for me, on Saturday 27th May 2015, when on the night before Sundays races I was rushed into the Cornwall Hospital and diagnosed with MYASTHENIA GRAVIS. I missed the next days races, and as my medical issues continued I decided to step down from ‘official’ duties. I did however manage to do a ‘first’ on Saturday 20th of June. 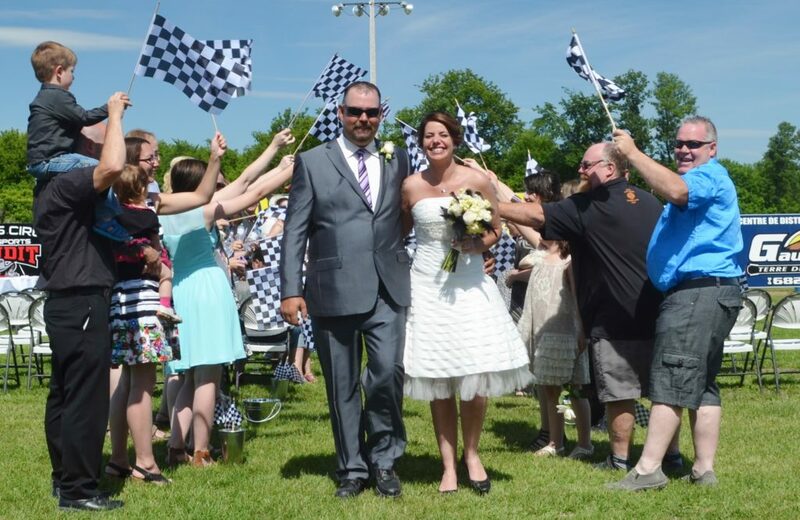 Two speedway staff members, Jay Thomas and Sue Suave had their wedding ceremony in Victory Lane, and I was asked to take the pics. As I went through various medical tests , my good friends Don Simpson, Sylvain Louwers and Rejean Paquette covered for me on race night. Once I felt good enough to return, I continued, but took things easy, and let the other guys do the running around. That’s how it stands today, I’m still there taking pictures, in a reduced capacity for various media outlets, as I continue with the treatment for MG. 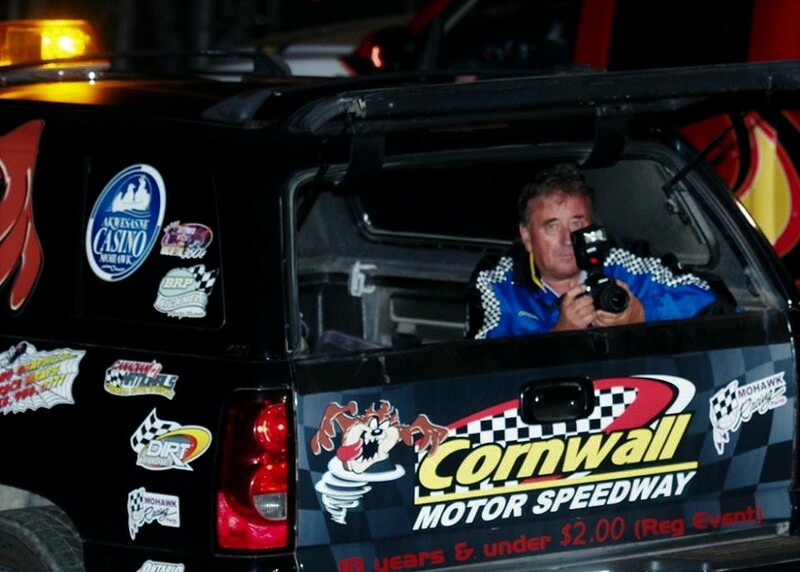 So, as you can see I have so many personal memories from my years at the Cornwall Motor Speedway, I just had to document them. 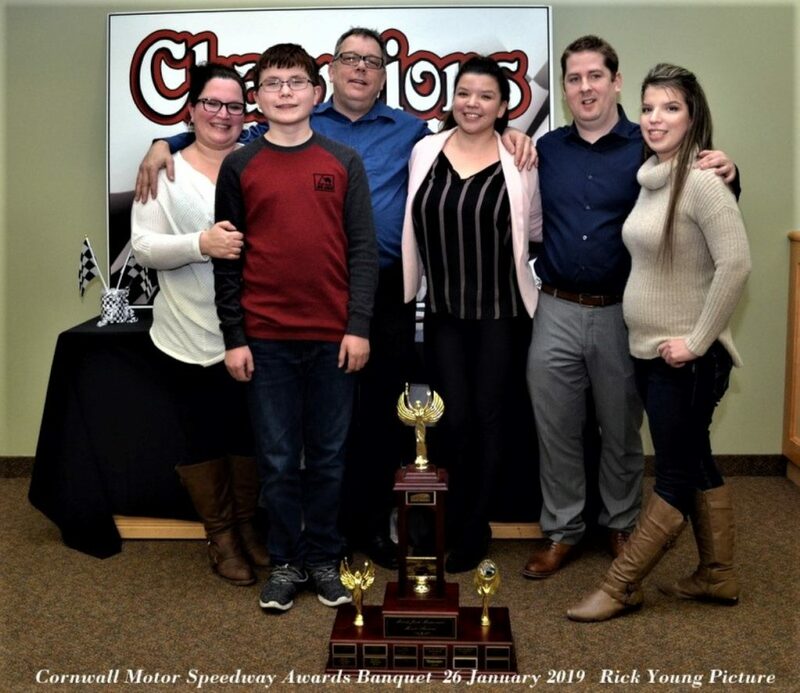 Now, back to recent times and this years Awards Banquet. A brief run down of the major awards goes like this. 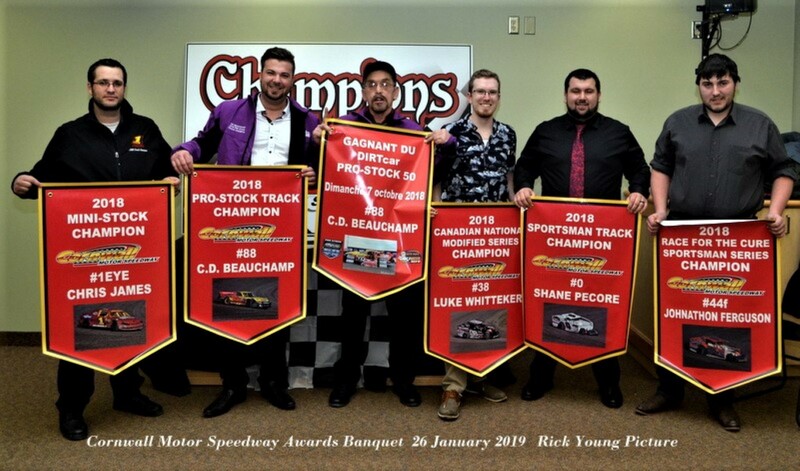 This years track champions were , Chris James, (MiniStocks) C.d.Beauchamp (Pro Stocks) Shane Pecore (Sportsman) Carey Terrance (Modifieds) . Modified Canadian Nationals winner was Luke Whitteker, Race for the Cure Sportsman winner was Johnathan Ferguson. and the Mitch Jock Merit Award went to SEAWAY GM.